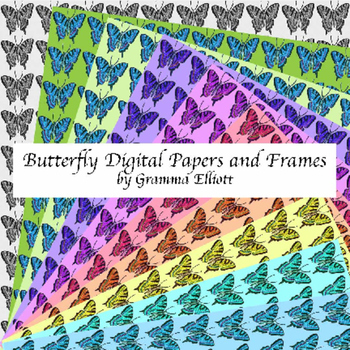 Butterfly Digital Papers and Frames for personal and commercial use. Just follow my easy TOU. 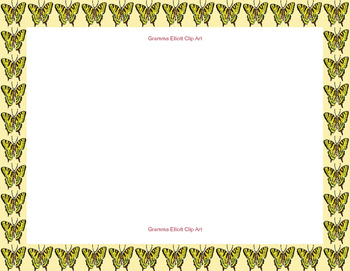 You are welcome to use my clip art for educational purposes in your home or classroom or to make products to sell to teachers and parents. 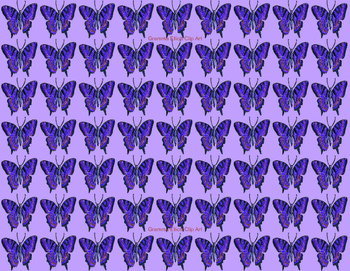 If you use my products to make materials for paid or free please give me credit and/or link to my TPT store. I would love to hear or see what kinds of materials you make with my clip art, although that is not required. You may not sell any of my clip art “as is”. Please make your products and sell them in a “flattened” form, such as a secured .pdf file. 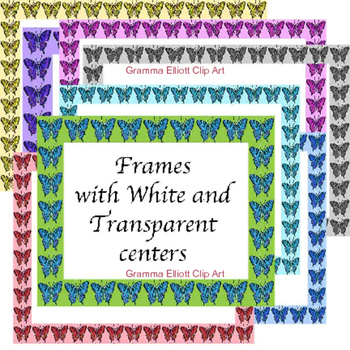 This package includes clips with transparent backgrounds in .PNG format, 300 DPI, color and black line.